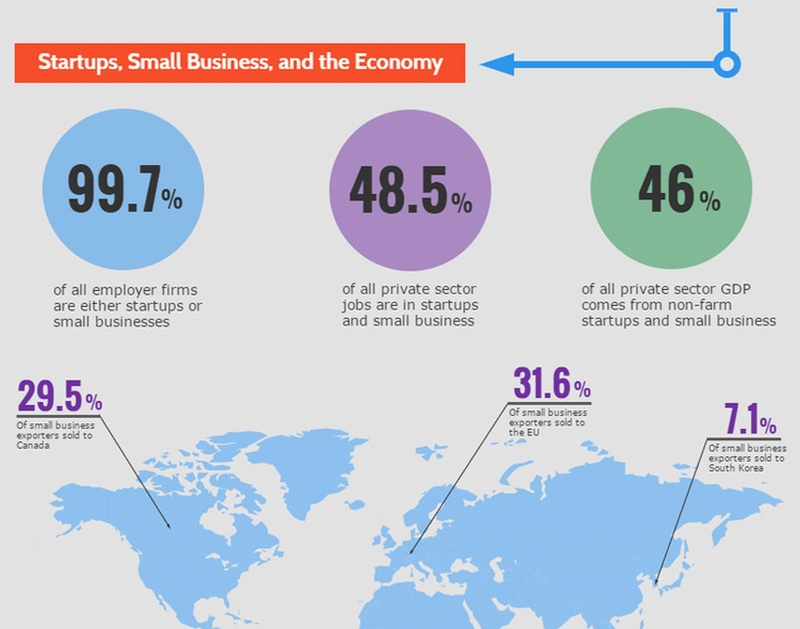 Startups and small businesses are really important. I cannot stress this enough. The majority of my campaign policies revolve around spurring entrepreneurial growth, providing economic assistance and relief to startups and small businesses alike. When we see a decline in business dynamism, policy must take steps to address such problems. Unfortunately, because society, the economy, and US law are all heterogeneous in nature, it becomes very difficult to see how things are connected. They brought in roughly $782 billion in revenue, or 4.6% of the GDP that year. Without those exporters, we would've had negative GDP growth! 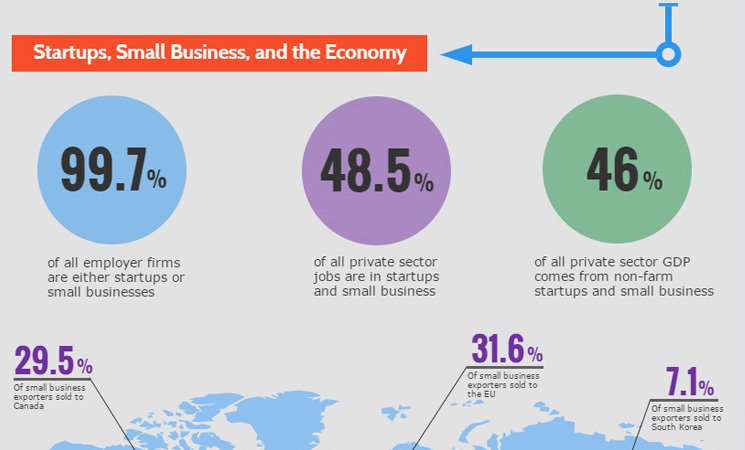 The infographic also includes the results of Thumbtack's latest small business friendliness survey for 2016. States play a major role in startup and small business growth, so when we see that much blue (ie, bad) rankings for them around the country, that tells us changes are required. Sources for the data are at the bottom of the infographic in case you wish to check them out!